This looks really scary! 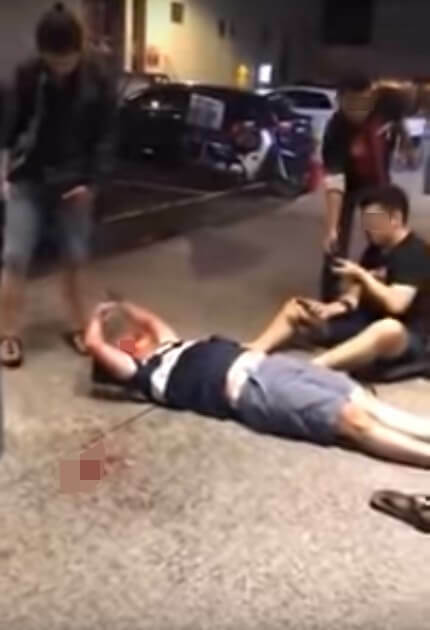 Just yesterday, a video has been circulating on social media, showing a man who had reportedly stepped out of a popular nightclub in Bukit Bintang and suddenly suffering from a seizure. 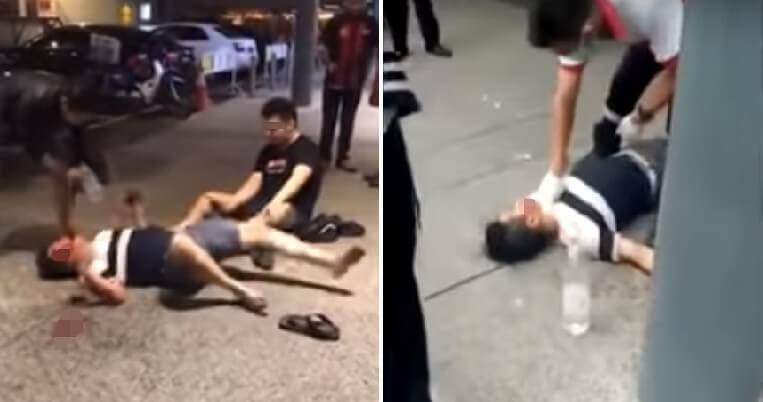 It was reported by China Press that the man who had just exited the nightclub suddenly fell and started experiencing a seizure, causing him to writhe around on the ground. 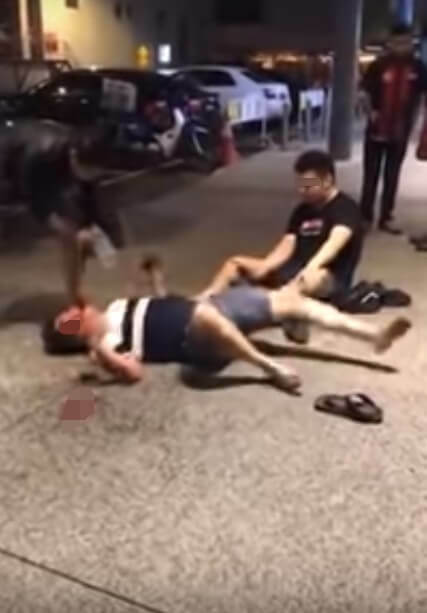 The incident happened at around 4am this morning (March 12) and shocked passersby as his seizure caused him to convulse. Two other men tried to help the victim, as his mouth started bleeding profusely as well but they could not do much. 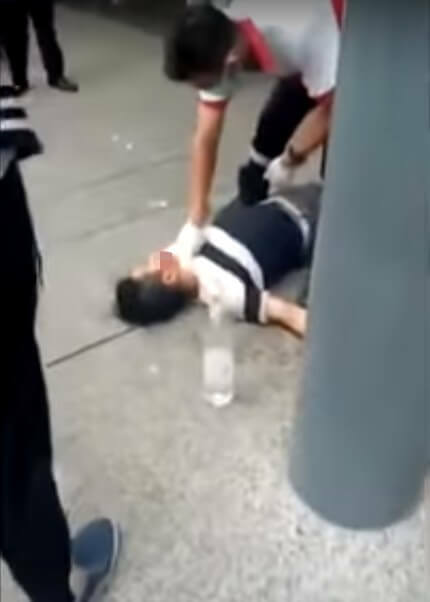 One of them poured water in his mouth in a bid to calm down the man but to no avail. A distress call was made but by the time the emergency medical personnel arrived at the scene half an hour later, it was already too late to do anything. Unfortunately, the man passed away and was declared dead at the scene. 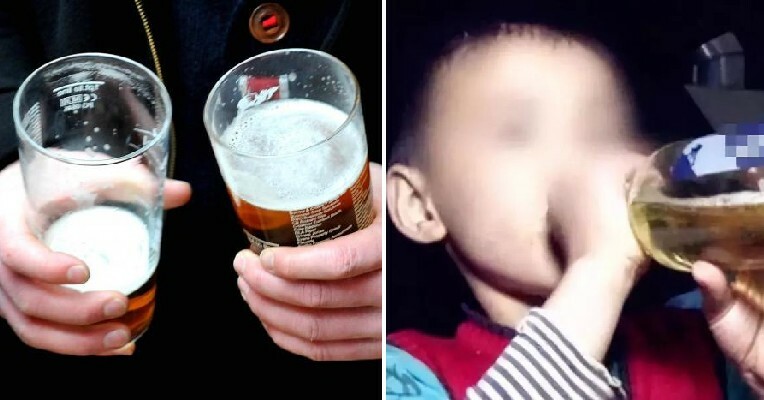 It is unclear what caused the man to suffer from a seizure but according to the person who recorded the video, they mentioned that it was caused by drugs but this has not been verified. Meanwhile, netizens who saw the video were equally shocked by the tragic incident. Some of them who felt that the seizure was triggered by drugs advised others not to touch drugs while those who felt that it was due to other causes gave advice on how to help someone who was having a seizure. Contrary to popular belief, it is not advisable to stuff something in a person’s mouth when they are having a seizure as this may injure their teeth or jaw. Instead, you should turn the person gently onto one side to help them breathe, as reported by CDC and always call emergency services if you feel something is not right. Whether the seizure is caused by drugs or other causes, it’s always better to be safe rather than sorry and call an ambulance if you don’t know what to do!